After much pursuit, Pharr plans to hire Alex Meade, CEO of the Mission Economic Development Corporation, as its next city manager, according to people familiar with the decision. The city is expected to announce the hire in the coming weeks. Meade submitted his resignation to the Mission EDC board this week after seven years; he is known for creating the 55,000-square-foot Center for Education and Economic Development building in Mission that houses several businesses, including a coffee shop and brewery. While Meade’s economic development has earned accolades, he does not have city management experience, a sure challenge as he is expected to assume his new post the week of Dec. 9. Pharr and Meade have not yet finalized the contract, according to people familiar with the negotiations. Meade, a Brownsville native, was of recent interest to his hometown and to Edinburg, as those cities sought new city managers this fall, according to people familiar with the pursuits. Mission’s city manager announced his retirement in November and that town, too, went after Meade. But Meade was said to have not been interested in city management, which was then reversed upon further discussions with Pharr and Mayor Ambrosio Hernandez, who has been after Meade for some time. Hernandez could not be reached for this story. Pharr had also made contacts with McAllen’s three assistant city managers, who rebuffed the neighboring city, according to McAllen City Manager Roel “Roy” Rodriguez. Meade, who declined to comment for this story, will succeed Juan Guerra, who in October unceremoniously left as Pharr city manager for the same job in Edinburg. 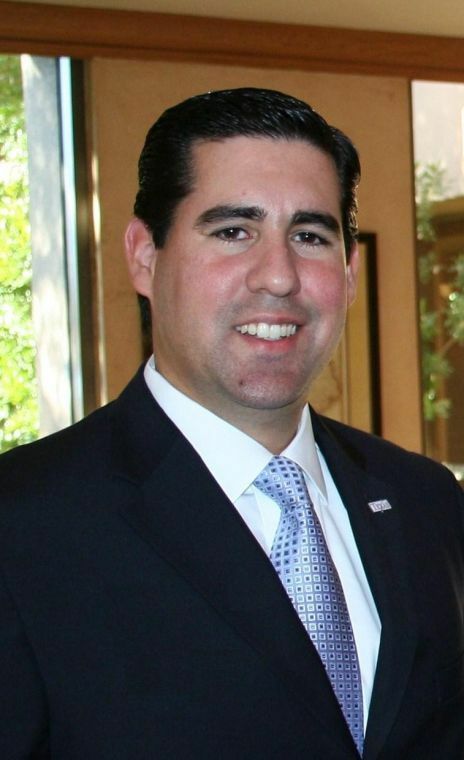 Guerra was a finalist for the city manager position in Brownsville. But he ultimately bolted for Edinburg, surprising many at Pharr city hall. Meade arrives in Pharr at a time of growth, and some citizen dismay. The city’s international bridge brings in more than $12 million per year, as it is the largest produce port of entry in the United States. But despite the immense revenues, the bridge has obstacles of its own, with frequent hours-long northbound wait times for commercial trucks that can sometimes result in spoiled produce. The sports entertainment venue Topgolf recently opened its first Rio Grande Valley location with large crowds, which the city expects to last with the site off Expressway 83. But Topgolf did not settle in Pharr without the city extending a hefty incentive package, including $1.2 million in cash, a 50 percent reimbursement of sales tax for 15 years and a 50 percent reimbursement of property tax for 10 years, according to the former city manager. Some citizens have also voiced frustration over the city’s handling of issues with the Boys & Girls Club of Pharr, as well as public comment at commission meetings. Commissioners in November opted to move public comment from the beginning to the end of meetings, a decision Hernandez sternly defended at a recent meeting. Pharr has also been without a permanent police chief for more than a year, after the longtime chief announced his retirement, a vacancy that has been filled by an interim. The city has interviewed various candidates for the city’s top law enforcement job, but a decision has not yet been rendered.